I asked the district attorney of San Mateo County if he would consider me for a job. He was a wonderful man, Louis Dematteis, Italian American. 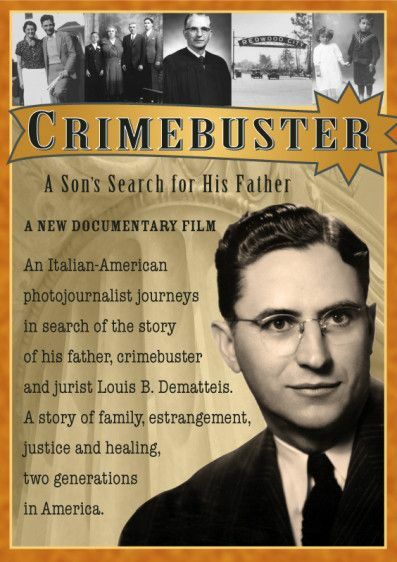 "Crimebuster" follows photojournalist Lou Dematteis as he journeys in search of the story of his late father, the influencial Italian American crime fighter and jurist Louis B. Dematteis from whom he was estranged in life. The film moves from the mountains of Italy to the halls of Ellis Island to the fields of California and streets of San Francisco with it's story of immigrants, family, justice and healing, two generations in America. District Attorney and Judge Louis B. Dematteis was a pillar of the Italian American community at a time when overcoming ethnic stereotypes challenged immigrant families. He grew up in Redwood City’s Little Italy speaking Italian, passed the bar at age 20 and became the youngest lawyer in the state. As district attorney in the 1940s, he made headlines across California, leading midnight raids on gambling houses, taking on a county ridden with crime and corruption. He gave Sandra Day O’Connor her first job as a lawyer when no one would hire her because she was a woman. Like other children of Italian immigrants, such as A.P. Giannini, founder of the Bank of America, Dematteis worked hard and thrived in the open and growing state of California; like Italian Americans such as U.S. Senator John Pastore and Congressman Peter Rodino, instrumental in the mid-century struggle for civil rights, Dematteis used his leadership to change the social and political landscape in California and beyond. A powerful disagreement over young Lou’s opposition to the Vietnam War began a breach of years in which father and son hardly spoke. Disappointing his father’s wishes he study law, Lou Dematteis became a world famous photographer, covering war and injustice, exhibiting much of the willingness to risk himself for the sake of others demonstrated by the elder Dematteis. The two men are drawn back together again later in life by a shared respect for their Italian American roots, and Judge Dematteis’ commission to his son to complete his dream of a gallery in which Italian Americans, and other immigrants, might be honored. 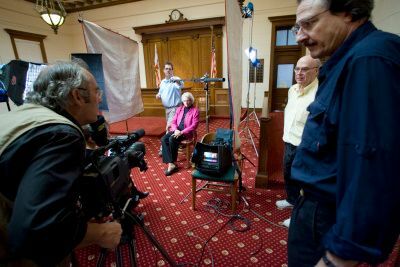 The story is told by the younger Dematteis—as narrator, in current interviews and archival footage and photographs—and a cast of supporting characters who know parts of the elder Dematteis’ story including Supreme Court Justice Sandra Day O’Connor, Intel Corporation Co-founder Gordon Moore, Congresswoman Anna Eshoo and former San Mateo County District Attorney Keith Sorenson, with a cameo appearance by President Barack Obama. San Francisco based photographer and filmmaker Lou Dematteis has covered issues of social, political and environmental importance around the globe for over 30 years. Dematteis began his work in film in 1997 on Charles Koppleman’s feature “Dumbarton Bridge” followed up by his own short film “Judge Louis B. Dematteis: An Italian American Story” in 2003 and Lise Swenson’s 2004 feature “Mission Movie”. "Crimebuster" is his first full-length documentary feature. 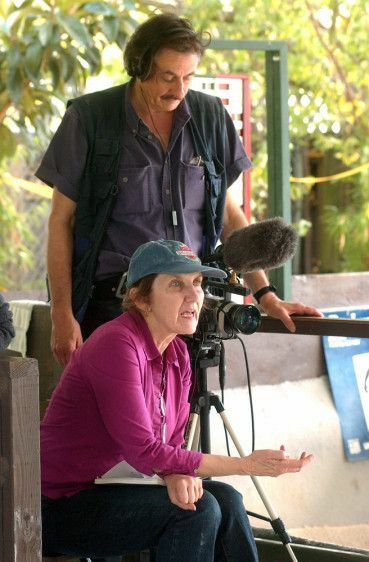 Mary Jo McConahay is a documentary filmmaker and journalist, co-producer of the award-winning PBS documentary, “Discovering Dominga” for which she wrote the original story. She is producer/director of “Rebel Priest,” the story of beloved Berkeley, CA activist Rev. Bill O’Donnell, a documentary in development. McConahay’s travel narrative, “Maya Roads” is scheduled for publication in 2011 by Chicago Review Press. 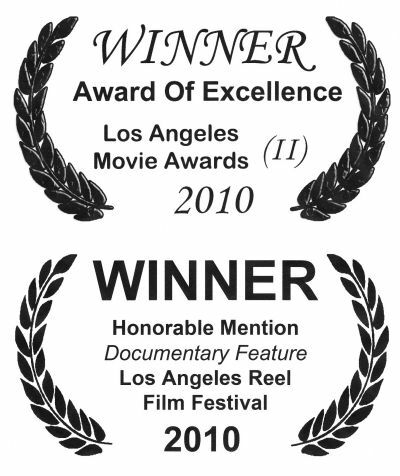 Judith Ehrlich Co-produced and Directed the 2010 Academy Award nominated film, "The Most Dangerous Man in America, Daniel Ellsberg and the Pentagon Papers". That film premiered at the Toronto International Film Festival, won the Special Jury Prize at IDFA (Amsterdam) and Audience Awards at five other festivals. Ehrlich also co-produced and co-directed the award winning PBS documentary, “The Good War and Those Who Refused to Fight It” (2001), a story of men guided by principle to take the unpopular position of pacifism in the face of World War II. Vicente Franco was a 2003 Oscar nominee for Best Documentary and Emmy nominee for Outstanding Achievement in Cinematography for Daughter from Danang, winner of the Sundance Film Festival 2002 Grand Jury Prize. In addition to directing, he is an accomplished cinematographer of documentaries, drama, news and public affairs. His credits include the Academy Award nominated Freedom on My Mind, POV specials Discovering Dominga and Thirst, and the PBS series In Search of Law and Order and Making Peace. "On Screen Refections of a Famous Father"